A South Florida physician was recently convicted in the opioid overdose of a 34-year-old woman, with a jury finding him guilty of charges that included conspiracy to possess with intent to distribute furanylfentanyl resulting in death. Prosecutors alleged the orthopedic surgeon was the source of counterfeit oxycodone pills distributed across South Florida. He’s facing up to life in prison. Prosecuting doctors and other health care providers criminally for the overdose deaths of patients is one of the ways law enforcement and prosecutors are taking a hard line against accused drug offenders. In one study analyzing the U.S. Drug Enforcement Administration’s data presented in its Cases Against Doctors report, Florida ranked No. 5 nationally for the most physician arrests (4.3 per 10,000 doctors) and the same for overdose deaths (23.7 per 100,000). More than 70 percent of these doctor drug arrests in Florida involved opioids, including oxycodone and hydrocodone. Alprazolam (also known as Xanax) accounted for 11 percent. Opioids were also cited in 40 percent of fatal drug overdoses nationally in the last two years. The priorities of drug enforcement in Florida have shifted, from illicit drugs like marijuana, cocaine and heroin to illegal distribution of controlled medications. This isn’t to say law enforcement won’t arrest still arrest you for possession of marijuana, but our Fort Lauderdale drug arrest attorneys know far more resources have been dedicated in recent years to these deadlier drugs, identified by public health officials as an epidemic. Just possession alone can rise to the level of trafficking if it involves these amounts or more. The difference between 14 grams of Hydrocodone and 13 grams is the difference between a felony and a misdemeanor. F.S. 893.15 establishes the mandatory minimum for these amounts is at least three years in prison, plus a fine of $50,000. Trafficking crimes in general are outlined in F.S. 893.135. The law pertains to anyone who knowingly sells, purchases, manufactures, delivers or brings into the state these medications. 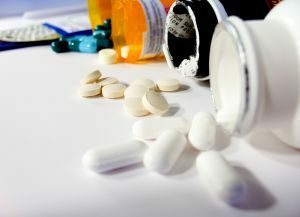 Just last month, a new Florida law went into effect imposing some of the tightest opioid prescription restrictions in the country. Physicians are limited to a three-day supply for patients with acute pain. Only those who meet certain criteria will be allowed to receive the drug for up to seven days. Physicians and pharmacists also must consult with the state’s database and review patient history on prescribing and will be required to take continuing education courses on responsible opioid prescription. Michigan and Tennessee enacted similar measures at the same time, though Florida’s new statute is the strictest. Prosecutors do have the burden of proof in these matters, and there are several grounds on which our criminal defense lawyers in Fort Lauderdale may be able to assert a successful challenge. The physician acted in good faith. If you have questions about your recent drug trafficking arrest in Broward County or elsewhere in South Florida, let us help. An experienced attorney often makes a huge difference in the outcome of your case.